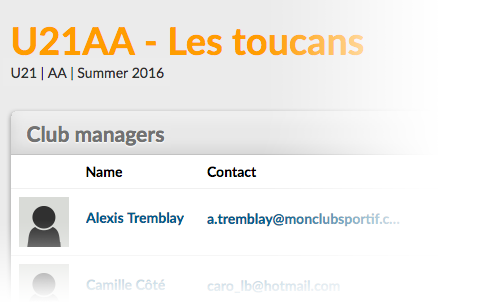 Clubs and associations management via MonClubSportif! Start now your free 30-day trial! Take advantage of club management for your entire organization. The free trial is limited to 20 teams. Save your time by managing your teams! 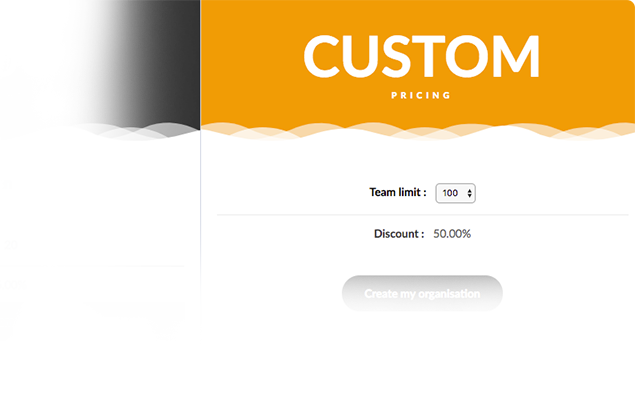 Easily create, edit or delete teams with one single tool. 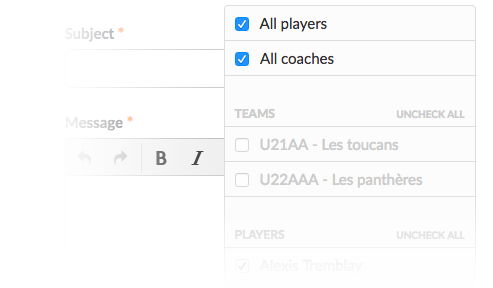 Then, quickly add the players by importing lists or through an open registration link. 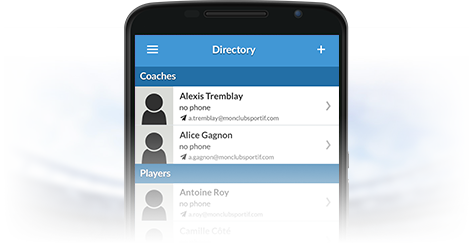 Communicate with all your organization members: players, coaches or the entire team… You can even filter your recipients and send notifications to specific groups. Distribute your organization’s management activities among several people. All you have to do is share access via e-mail to the executives, capable of taking over while you are on vacation. Access the entire list of all the players, coaches and your association’s reservists. The membership directory is updated in real time. 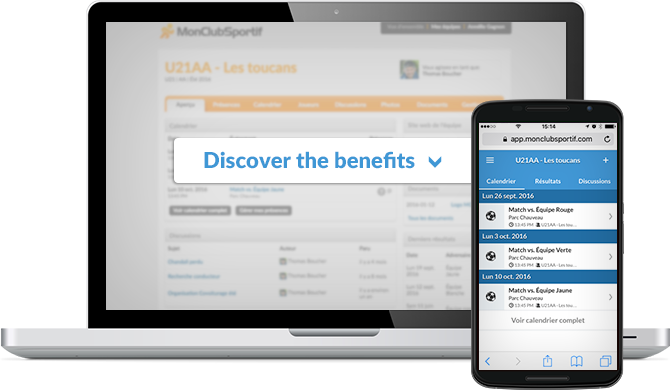 Pricing is based on the number of teams that will use MonClubSportif. An advantageous discount is also offered for organizations of 5 teams and more. Any questions on managing clubs? Write to us and we will be happy to answer you.